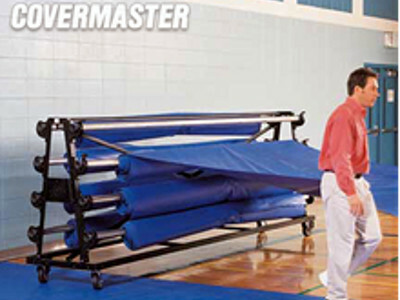 With Master Series CoverMate I two people can install or remove a Gym Floor Cover in less than thirty minutes. 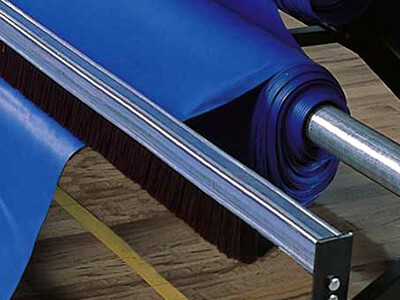 Because Master Series CoverMate I will let you store each cover section separately on its own roller, the process of installing, removing and storing is a simple matter. 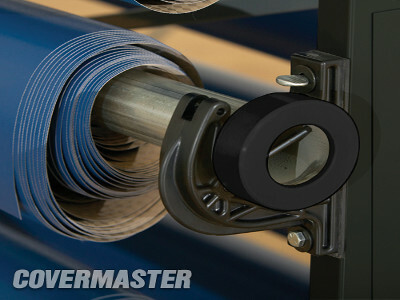 Just as important, Master Series CoverMate I also reduces the risk of back injury because it eliminates manual lifting. 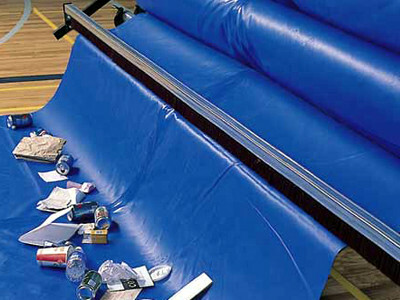 To install the cover, simply roll the Master Series CoverMate I to one end of the gym and lock it in place. 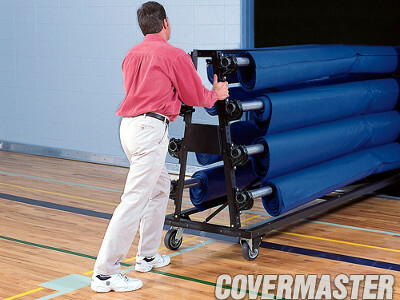 Now pull a section off its roller by walking it over to the other end of the gym. Repeat the steps for each section and the entire cover can be on the floor in a matter of minutes. ...and Remove a Gym Floor Cover! To remove the cover, simply do the process in reverse. 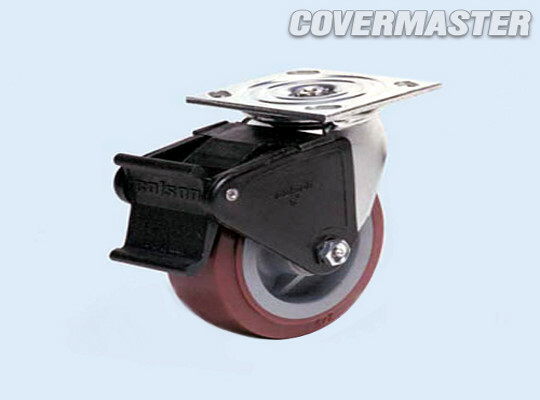 Attach each cover section to its own roller with the patented, slip-on QuickClips and wind it up with the cranks that are supplied with each Master Series CoverMate I. So simple and fast, it's ingenious. And without any manual lifting! For even greater ease, and especially for frequent users of the cover, we recommend the use of our optional patented Master Series CoverClean a single brush assembly, and the PowerMate Power Winder. 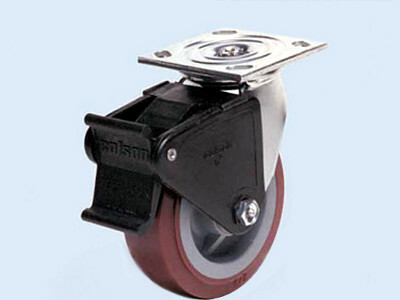 Rollers 2.5" diameter x 11' 4" long, 14 gauge carbon steel. Construction The frame is made of 2" x 2" x 3/16" angle carbon steel, welding using the MIG welding process.